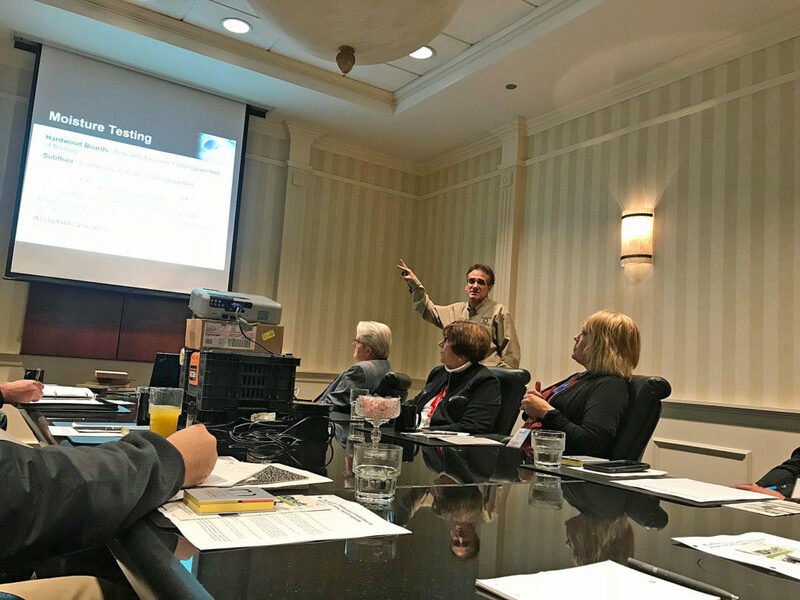 Andrew Fronczek spoke at two well-attended workshops for the Installation & Construction Track focusing on builders and allied trades (i.e. installation contractors) at the 2017 HBA Educational Conference and Expo. His topics included the popular “Avoiding Hardwood Flooring Issues” and a new topic “What You Need to Know about Floating Floors”. 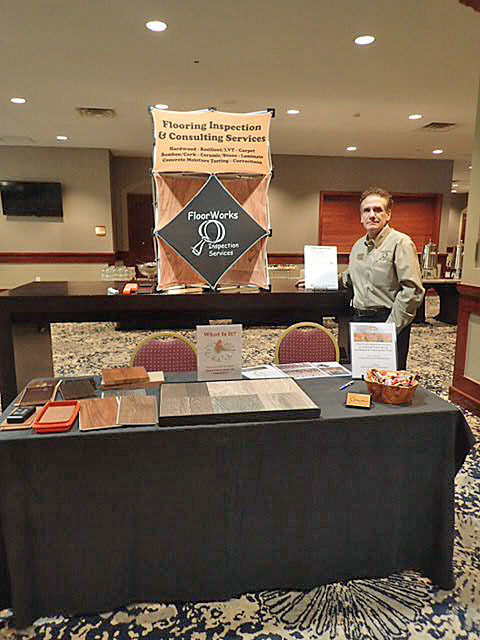 Andrew Fronczek working at the FloorWorks Inspection Services Booth during the Expo. 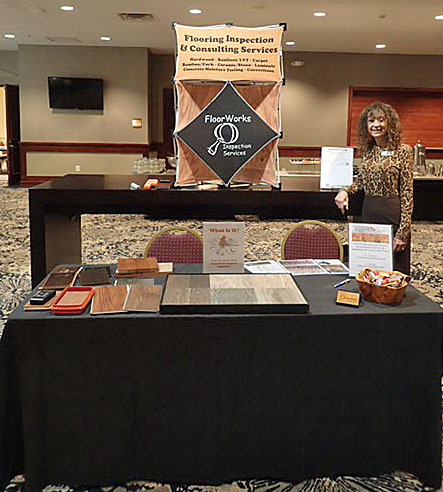 Martina working at the FloorWorks Inspection Services Booth during the Expo.